We accept payment by Online/Offline, Bank Transfer Credit Card/Debit Card, Cheque, Cash, Demand Draft and Local cheques. You can deposit the payment directly in our bank account as well. For Domain Registration the Domain shall be sent into the actual Registration Mode only after realization of the payment. If a Credit Card payment is made and it is not termed as ‘High Risk’ transaction by our Credit Card transaction Gateway, the Domain shall be Registered automatically in batch processing. Please include the User ID and Order ID while sending us the payment to make the process faster. Select this option to pay using your credit card or your net-banking account. More than 21 Indian online banks are supported. 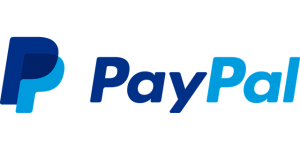 PayPal – For Customers Outside India You can pay by PayPal even if you do not have a PayPal account but have an international credit card. You can drop a cheque or a Demand Dreaft directly in our HDFC bank account or transfer funds using ‘Netbanking Transfer’. After depositing directly in our account, you must update us by generating a support ticket from your account. We can track the payment only after getting an update from your end. Your invoice will be updated once the payment shows up in our account statement. This process takes 24-48 hours after your deposit.!!! Please do not deposit cash. Cash deposits will attract Rs.115 as bank charges. !!! Copyright © 2015 Bagful International LLP - All rights reserved.